Post sponsored by Walt Disney World. All delicious and magical opinions are my own. 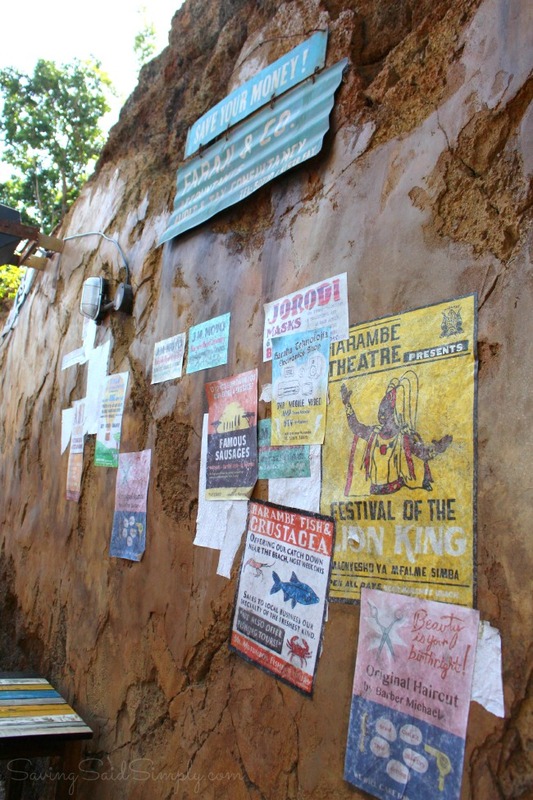 There’s something that has been sorely missing from the Africa section of Disney’s Animal Kingdom. A shady spot to sit. 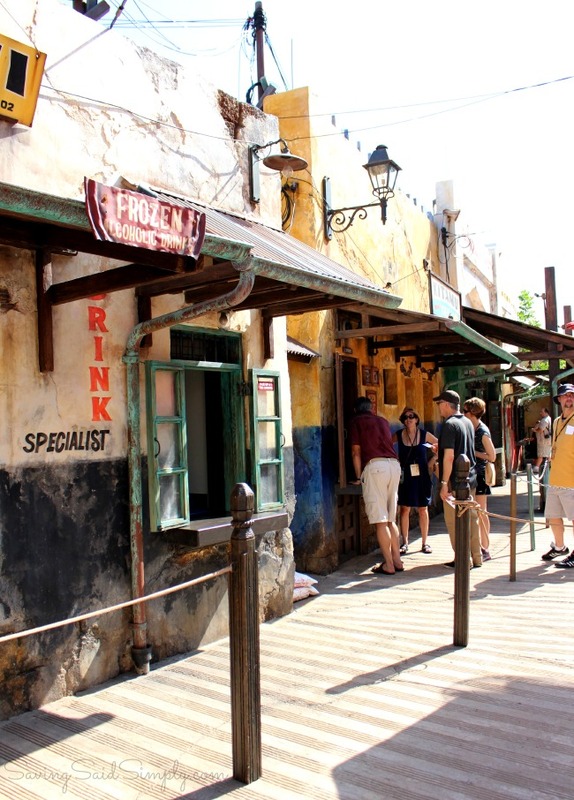 While Africa is full of amazing safari adventures, train rides and animal discoveries, finding relief from the Florida sun and a busy day at a Disney World park can be overwhelming. 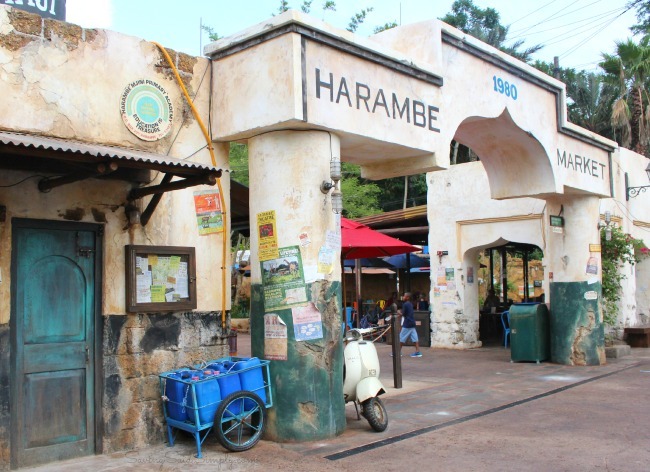 Insert the new Harambe Market at Disney Animal Kingdom, an area of Africa where families can finally sit and enjoy the flavors of Africa. 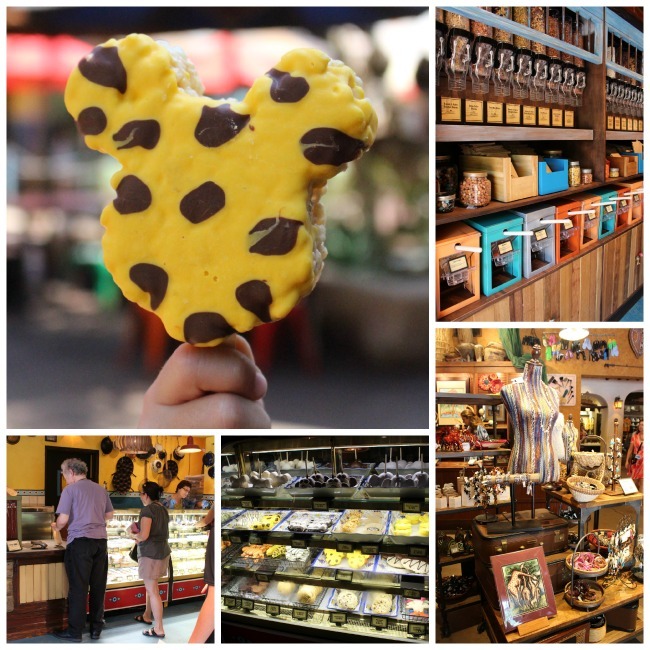 On our recent family media day at Walt Disney World, my family got to taste, see and feel all that this market had to offer their weary travelers. There’s definitely 5 tastes of Africa you won’t want to miss. 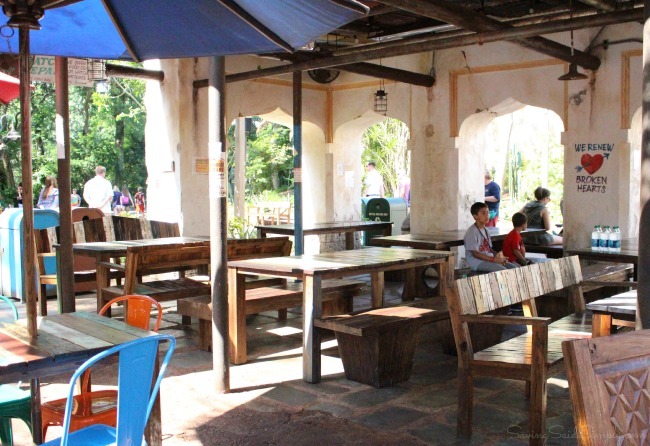 The hustle and bustle of the Harambe Market definitely gives you the feel of a busy African marketplace. Displays of wares and beautiful woods. Carved stone, overhanging fabrics and shady rest areas are also inviting. But it’s the smells that entice the Disney World guest as you pass by. 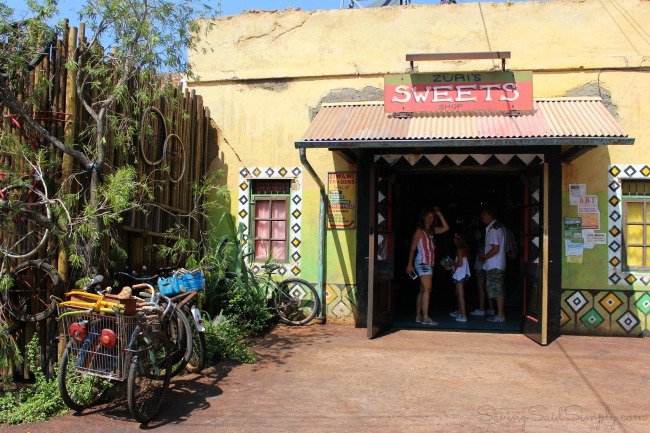 Located in the heart of the Kilamanjaro Safari, Rafiki’s Planet Watch and the famous Wild Africa Trek attractions, one cannot walk by this area and not smell the amazing flavors of Africa as meals are passed from pick up window to Disney guest. And thankfully our hungry bellies got to experience firsthand the best of the best. This was definitely the tastiest and most surprising meal of the day. I am NOT a rib person. But these ribs were ah-mazing. 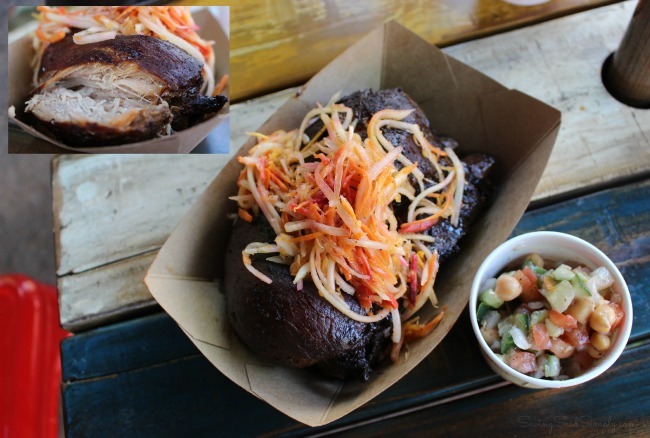 3 ginormous ribs rubbed with a blend of African spices and oh-so-tender were accompanied by the cool sweet crunch of a green papaya carrot slaw. I know. The contrasting flavors were incredible. Then add the chickpea tomato cucumber salad and you have a very filling meal for even the hungriest safari explorer. As far as Chicken on a stick goes, it was tasty. The meat was tender, the spices were nice, but overall I wouldn’t say this was the most memorable part of my meal. Served with a cold Roasted Broccoli and Tomato Salad, this is a nice gluten-free/low carb option meal. Say hello to the biggest corn dog I have ever seen. Over a foot long and dipped into a curry spiced batter, this South African boerewors sausage was definitely hitting all of the right spots. Served again with the cold Roasted Broccoli and Tomato Salad. 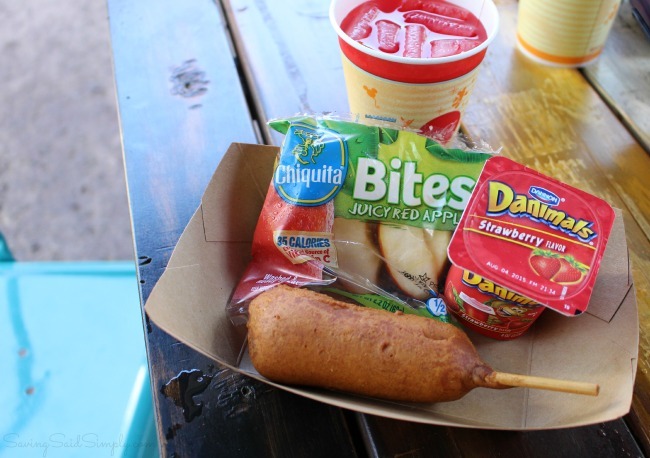 If you’re looking for a cultural kids meal option, they offer a kid sized corn dog here as well. Ok, so I’m not sure how “authentic” Watermelon Lemonade is to Africa, but seriously this was the most refreshing beverage of the day. 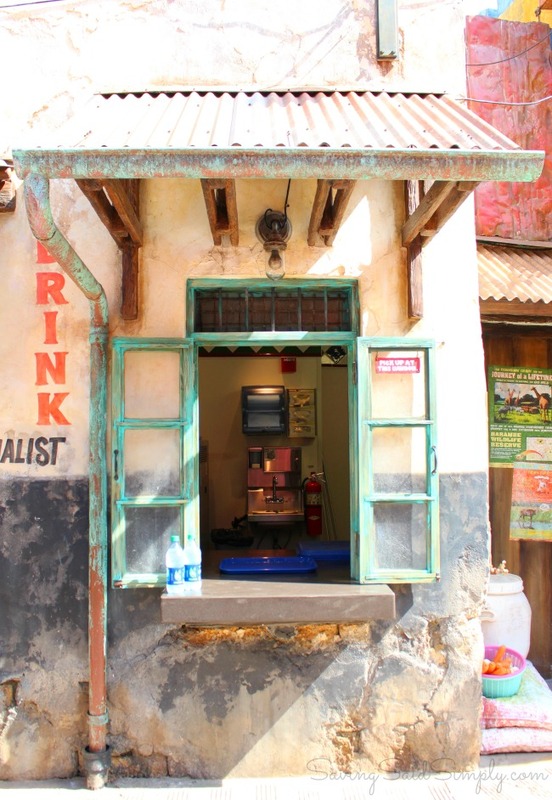 Find at any of the open windows in Harambe Market, I was tasting this drink for the rest of the day. Long after we left the area and enjoyed the park on one of the hottest July days, it was this drink that had my taste buds remembering the cool sips, the light sweetness and the thirst quenching relief. I think I told my sister-in-law at least 100 times how much I could go for another Watermelon Lemonade. 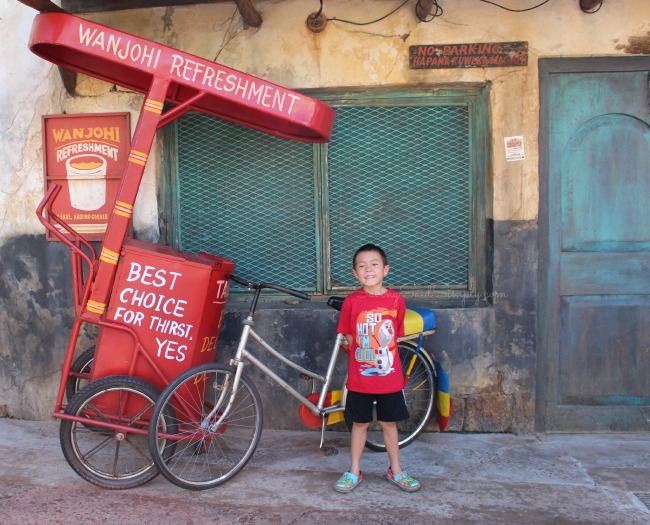 The Harambe Market offers quite a few different drink options. From African craft beers to Sangria, there’s definitely a cold drink for anyone on your party. While staying away from alcohol on a hot Florida day, we opted for more of the kid-friendly drinks. The foreign Kiwi Coke drink (green) was a unique choice of beverage that would have me coming back to Harambe Market as well. Light in carbonation.The Sparberry soda was interesting but not my favorite drink of the area. Reminded me of a light raspberry. Hidden across from the Harambe Market is basically the coolest place in the area. No, literally. 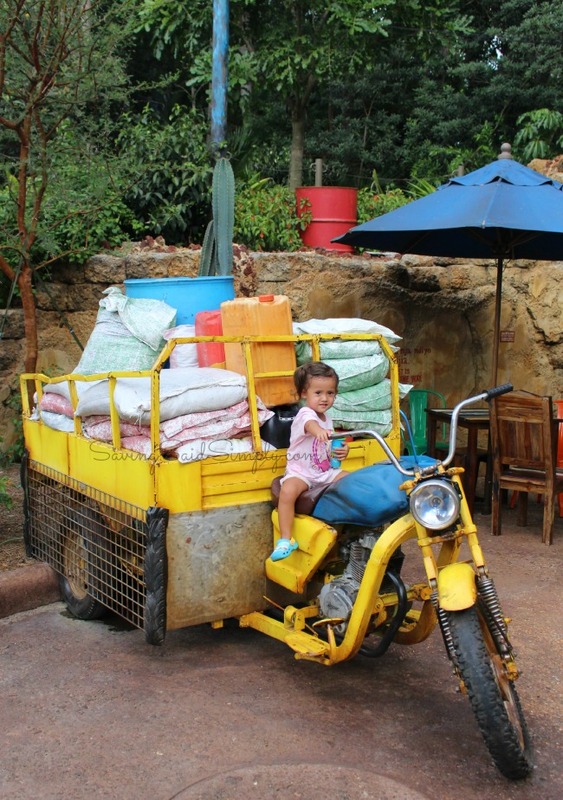 One of the few places in Disney’s Animal Kingdom that offers air conditioning, that alone is reason enough to visit. But inside this merchandise shop are over 80 different themed food items, inspired gifts and home decor items. And with 3 large rooms to fill, Disney definitely does it well. You’ll notice most folks hovering over at the confectionery counter. Through the glass your family will drool over the amazing sweets inspired by the Africa theme. 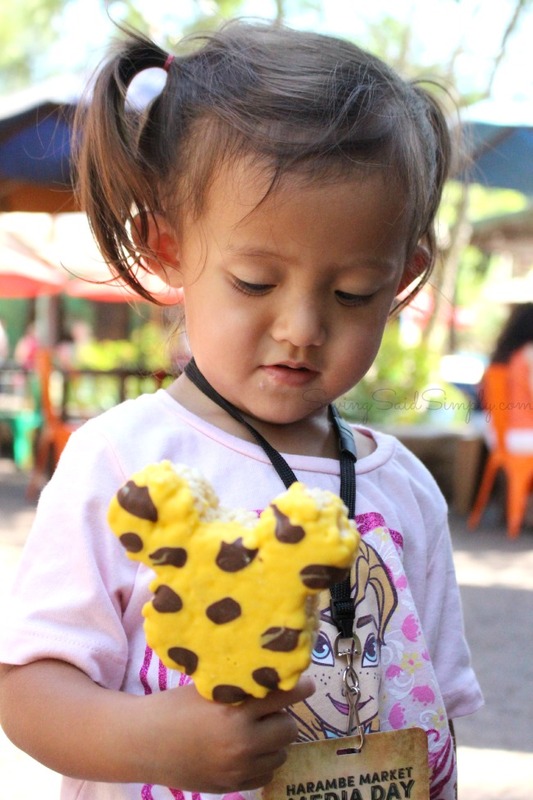 Giraffe shaped sugar cookies, Elephant Caramel Apples, decorated Marshmallow Pops, Fudge and even some Mickey Ears make their way easily to your bellies. 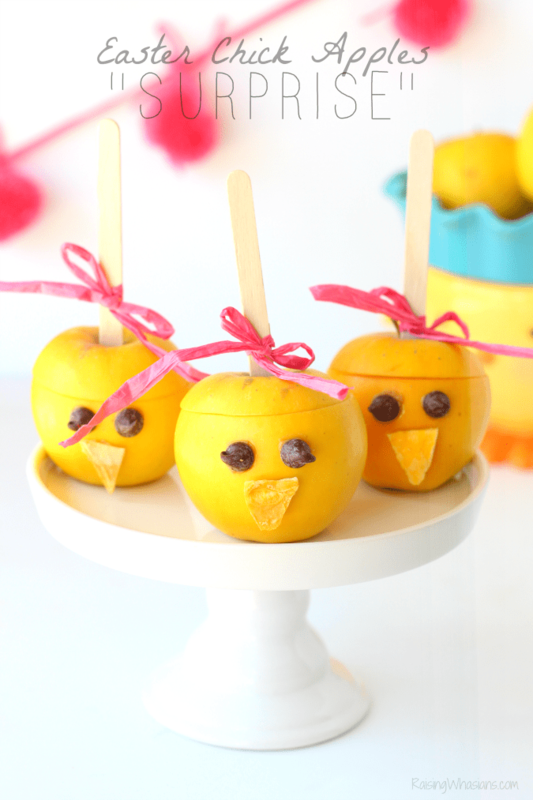 Can we say afternoon break your kids will actually enjoy? AC, gifts and sweets, how could we go wrong? and enjoy unique photo opportunities all while experiencing the flavors of Africa. 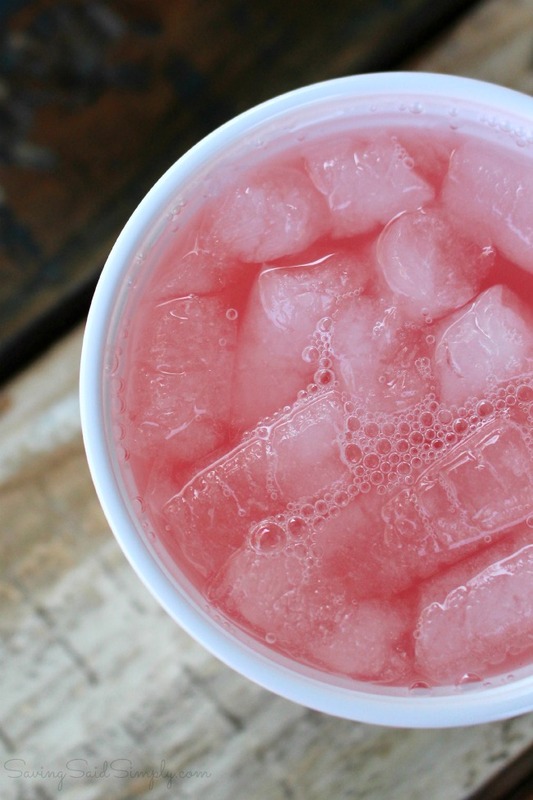 Now if we can just get that Watermelon Lemonade on tap…. 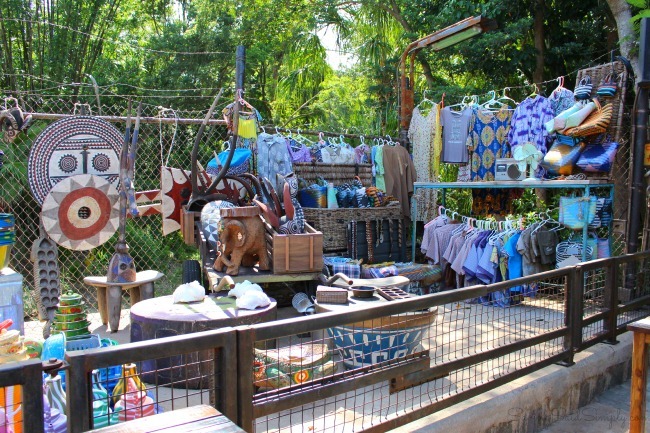 Have you experienced the new Harambe Market at Disney’s Animal Kingdom? My family and I were invited to attend this special Harambe Market media day and received free passes and food vouchers. All magical opinions are my own. Be sure to follow Saving Said Simply via Facebook, Twitter, Google, Instagram, Pinterest and YouTube for family travel, Orlando theme park updates and more. 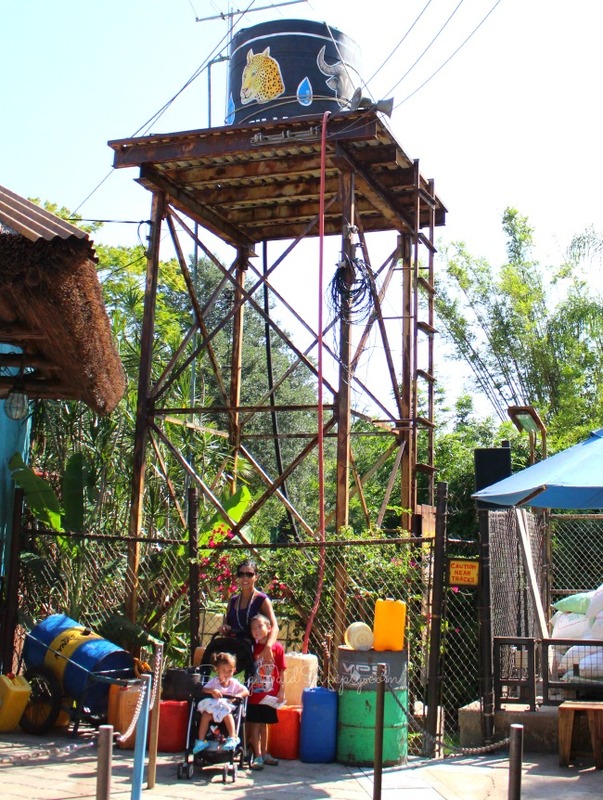 I never heard of it before – but it does look like great fun! I’d have to think about that hot sun to find ways to keep it manageable – it looks so realistic, when I first saw the main photo, I thought it was taken in Africa! Good eats! Looks like you guys had alot of fun, I would love to go there. We stopped going to the animal kingdom on our Disney trips a few years ago, but this makes me want to go back. We haven’t been to the Animal Kingdom in a couple years. I didn’t know about the market. I will have to go check this out. We haven’t had the chance to visit Animal Kingdom. It sounds like so much fun, and that market is the coolest! We love Animal Kingdom. The kids always have a great time there. Wow, that looks really fun–I wish I could visit! So much to see and try here! What a fun place to take on some adventure. Awesome family place! I would love to go back to the Animal Kingdom. This is the coolest place. I love the shops and restaurants. Living so close to Disneyland makes it difficult to justify a trip to Disney World, but between Epcot and Disney Animal Kingdom we really must go. The food in this area looks particularly amazing! All that food looks delicious. I don’t think I have ever had any African food. I’m glad that Disney is embracing African culture, but I’ve never heard of any of these foods. Too bad they aren’t serving Ethiopian food – the stews and bread is one of my favorite type of food. What fun and yummy things at this place. I want to try the ribs. I’ve never seen the iconic Mickey ice cream decorated to match the Animal Kingdom decor. So cute! It is so much fun to visit the Animal Kingdom and see all of the animals. But there are so many yummy things to eat! I need to go back to try a few more things. I plan on teaching my kids the different flavors and cultures of each continent as they get older. I think Africa might be the most difficult for me just because it’s the most ufamiliar! I have not experienced it. It’s been awhile since I’ve been to Animal Kingdom. I would love to go back. Looks like so much fun. We’ve never been, but I would love to! The food looks amazing too! I would want to be there for about a month so I could explore all of the shops and restuarants. This looks fun and I would bookmark it on my visit. Can I just go there and hang out here all day drinking south african wine and enjoying that shade and amazing food?!?! Wow!! Everything sounds so fabulous and Im so glad they offer child options as well!! Thanks for sharing! that lollipop icecream thing looks amazing!!!!!!!!!! I have never visited here, but it looks like it is full of culture and fun. I love the food options and your photos are amazing! This looks like a great way to spend the day. The food looks delicious. I would love to try the Watermelon Lemonade. 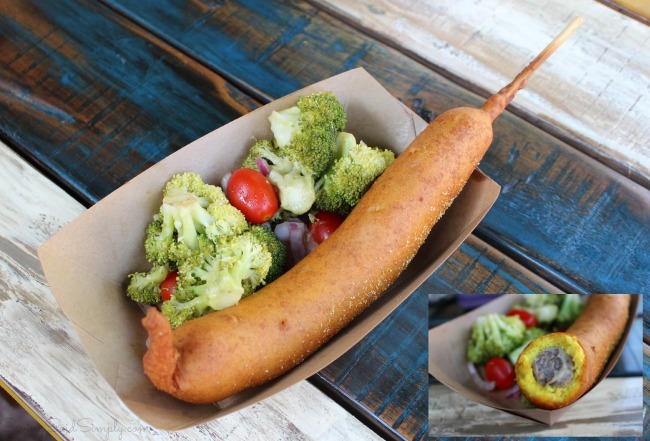 Glad to see there are some new offerings at AK. My favorite is the dole whip float with dark rum…I don’t think you can get it at the other parks. We haven’t been there for a few years so I think this is new. The food looks delicious! Makes me want to hop a plane now! Thanks so much – I loved all the photos! We’ll probably never make it to DisneyWorld, so I love reading the posts that others write! Looks and sounds like so much fun! I’d love to go there one day with my family! I would love to go to Disney’s Animal Kingdom, I’ve never been before. 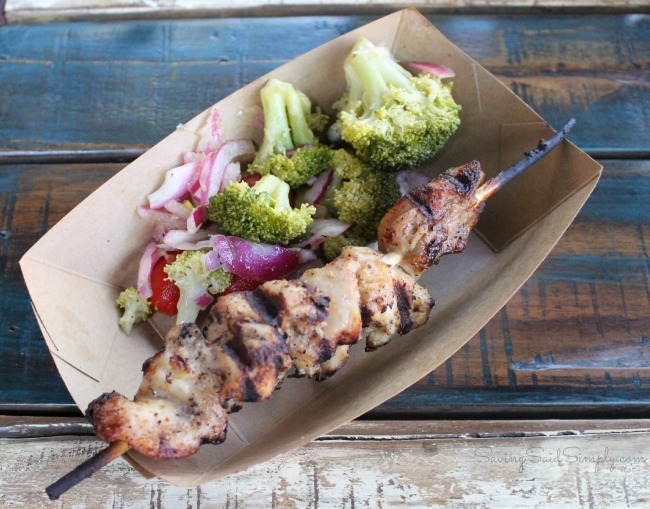 I love to try new foods so I would certainly want to check out Harambre Market.